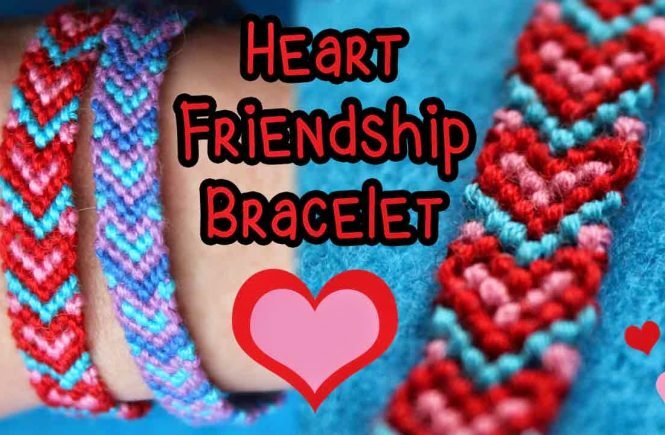 Heart friendship bracelets offer a beautiful way to express your feelings to your special one. 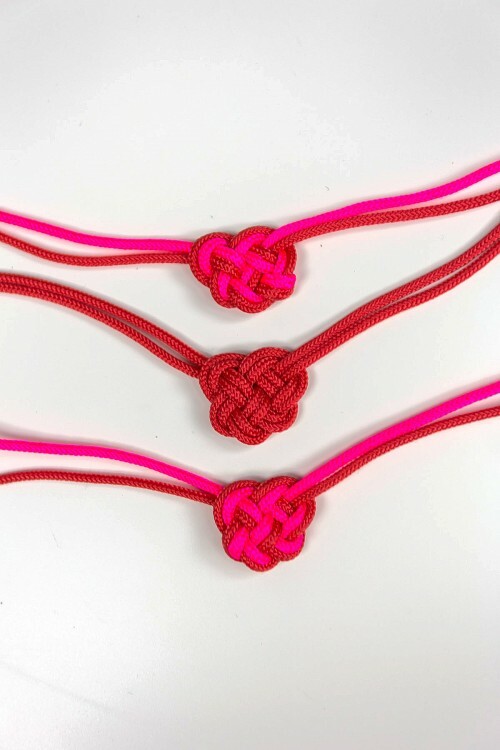 Though red is the go-to color for this accessory, you can try out unconventional colors to make them eye-catchy. The person wearing it would have enough reasons to think about you when he/she is wearing this jewelry. 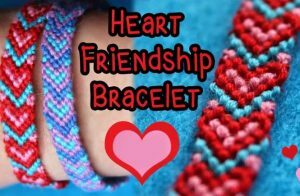 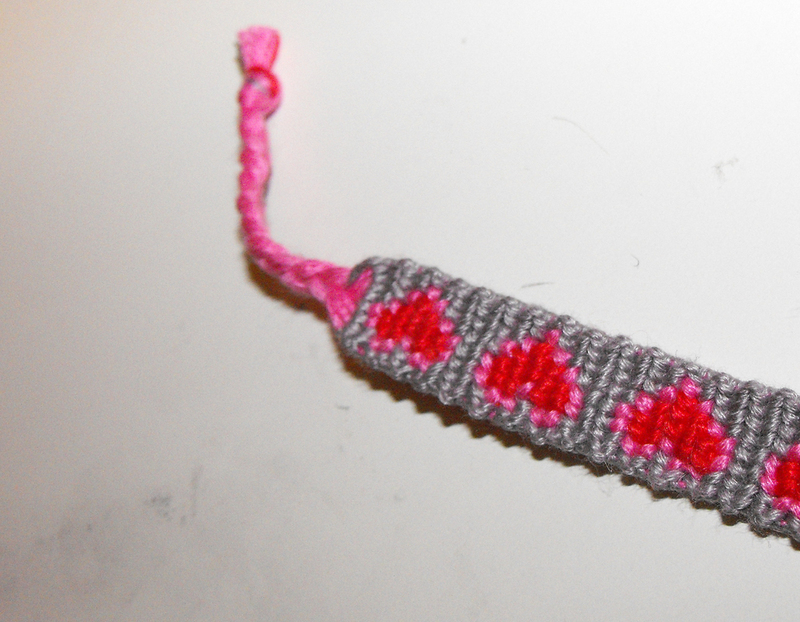 Heart friendship bracelets in different colors are great Mother’s Day gifts. 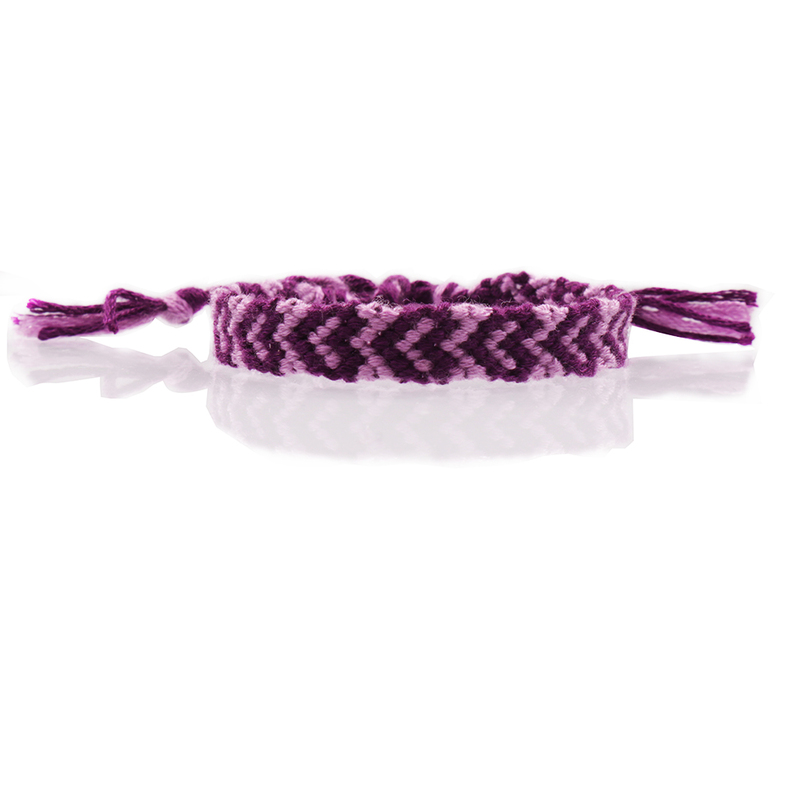 You would need two colors of embroidery thread for a single bracelet. For this DIY you would need embroidery thread in 2 different colors, clip and rigid cardboard or hardcover book, safety pin and scissors. 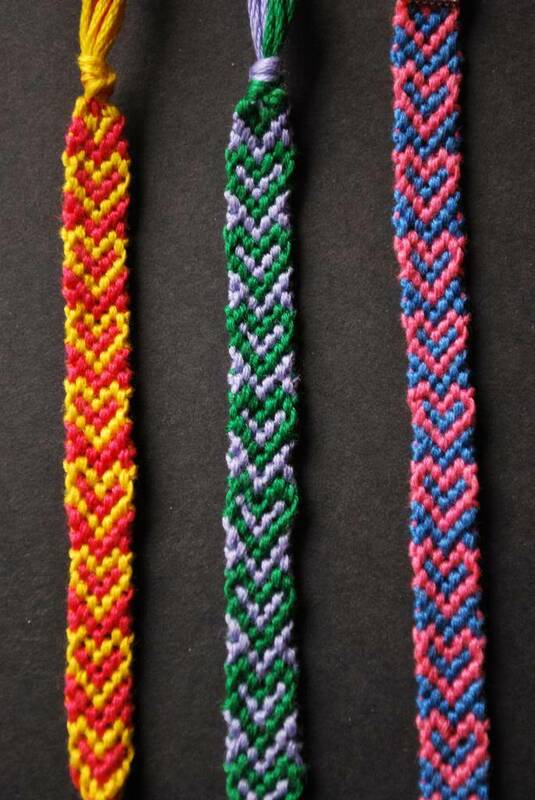 These unique bracelets are adjustable and simple to make. 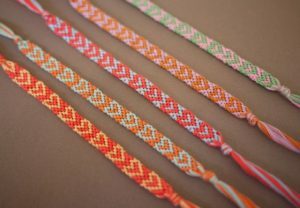 They are a perfect for teens, tweens and grown-ups too. 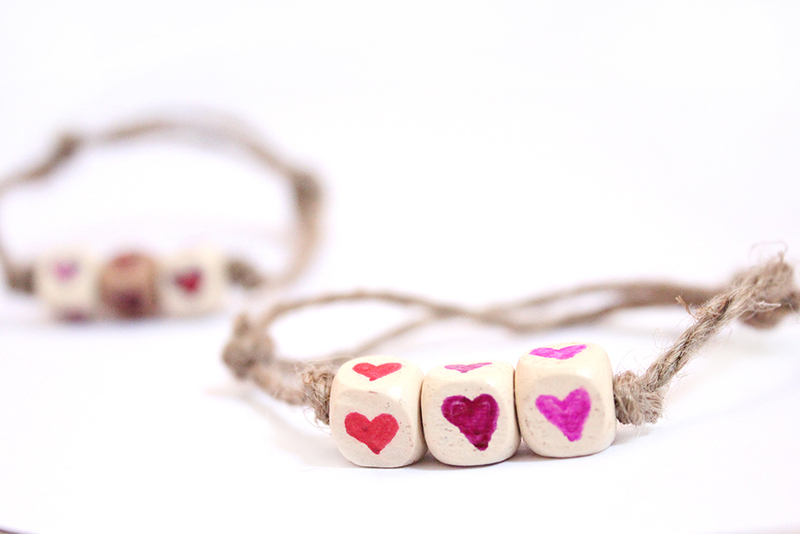 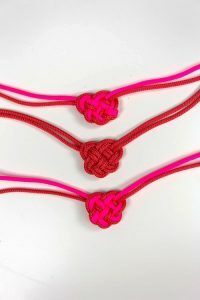 Heart patterned friendship bracelets beautifully express freshly blooming love on Valentine’s Day. 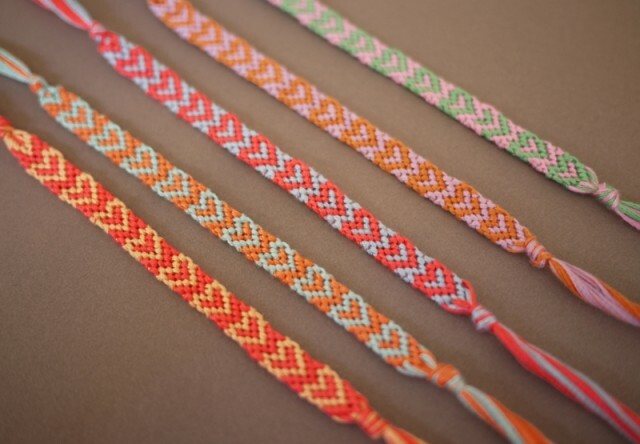 Candy-colored embroidery floss looks good on the bracelets. 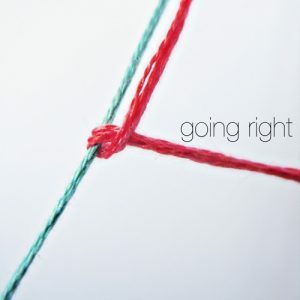 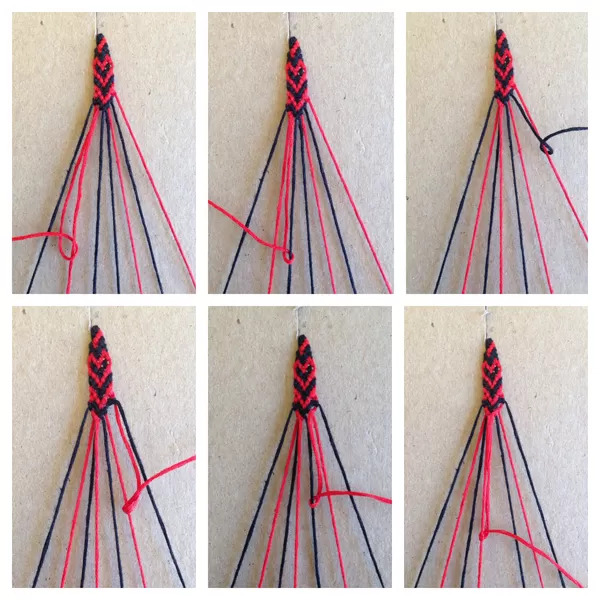 This tutorial starts with cutting strings in the colors of your choice. 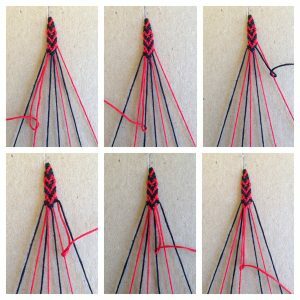 You would need to cut 4 strands, 2 for each color. You would need to measure the embroidery thread that you use so that it is twice the length of your arm. 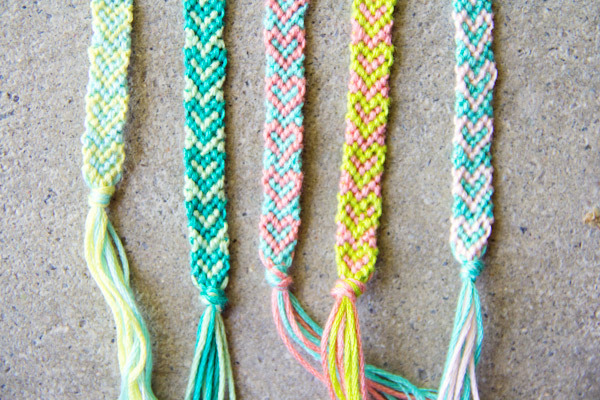 Cut and do this twice for each color. 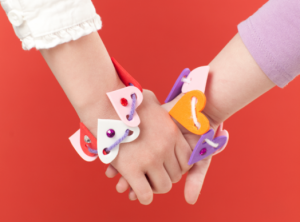 For these cute bracelets, the supplies are friendship thread, tape and scissors. 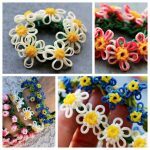 If you want to make them removable, you would also need a chain, jewelry pliers, lobster claw, metal crimps and jump rings. 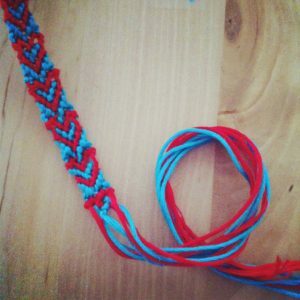 Start making this bracelet by cutting 4 strands of each color (you would need 2 colors of thread). 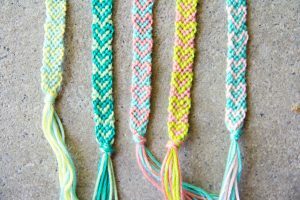 You should have 8 strands in total. For the rest, click on the link above. 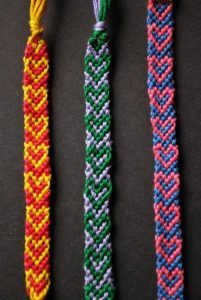 You are required to cut 2 strands of each color, fold them in half, place a pencil and tie a knot. 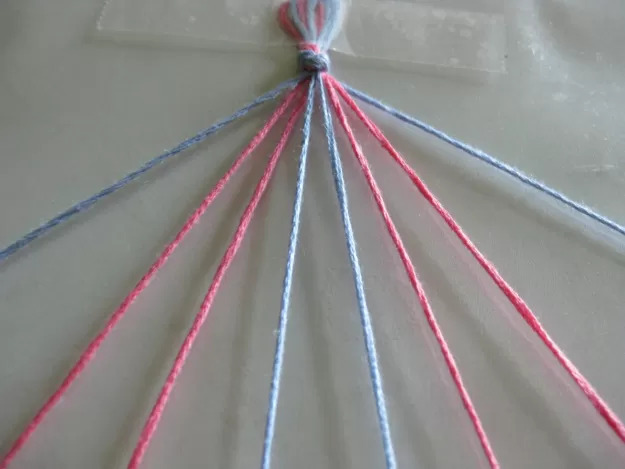 Then you should use some tape to hold them in place on a table. 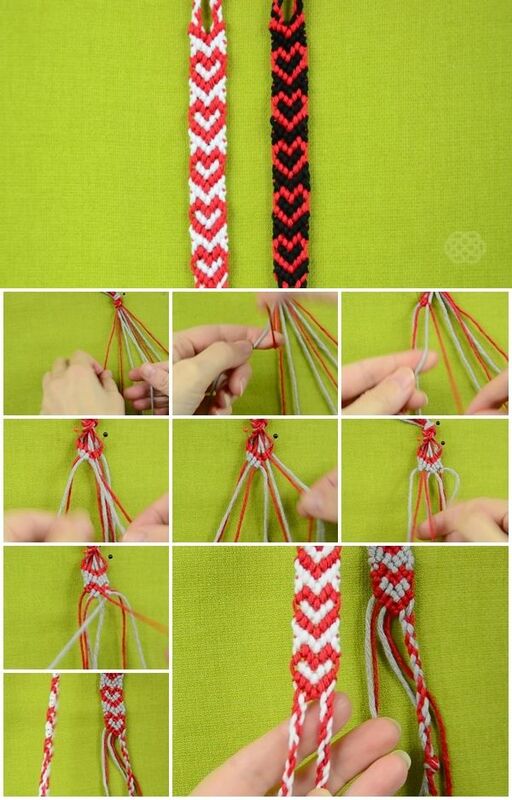 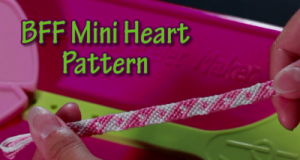 This adorable bracelet looks complicated, but it is quite easy to make. 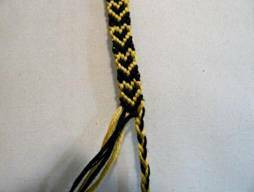 You should lay out your strings in 2 colors alternately as directed in the above linked guide. 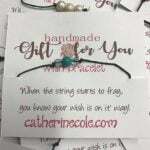 There is a special connect that you develop with these DIY bracelets when you make them on your own. 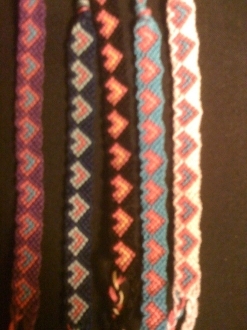 They are so much more appealing than the commercial ones. 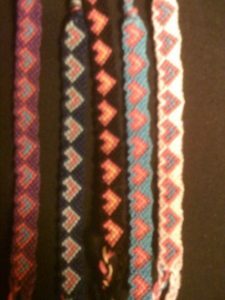 They also give you the freedom to choose the shades of your choice. 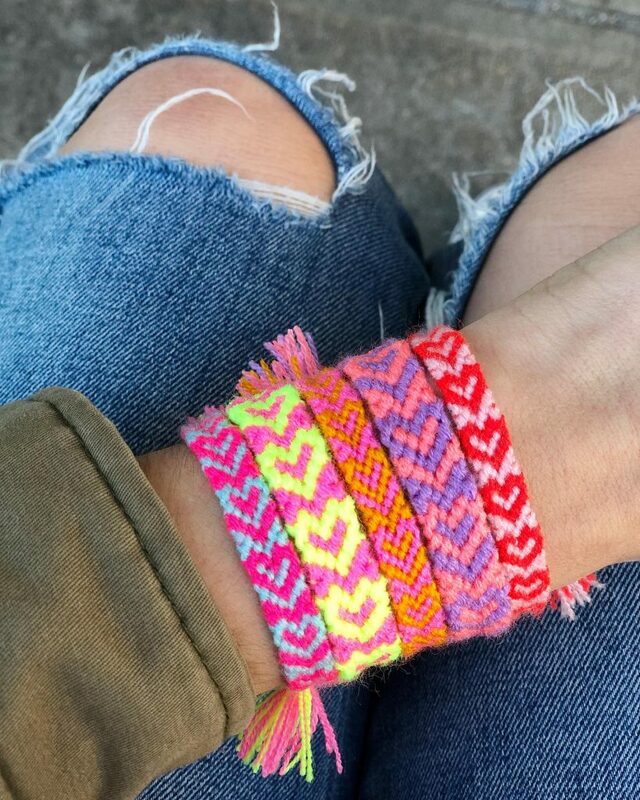 Go ahead, pick a design, make them and let them spread the message of love.